I’ve been having fun making patchwork panels for some more linen placemats. 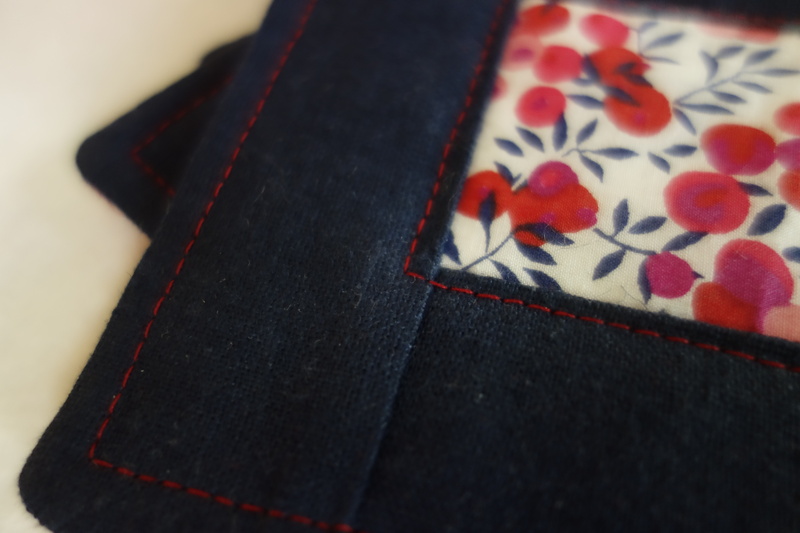 I love working without a plan, and using up some of my scraps. 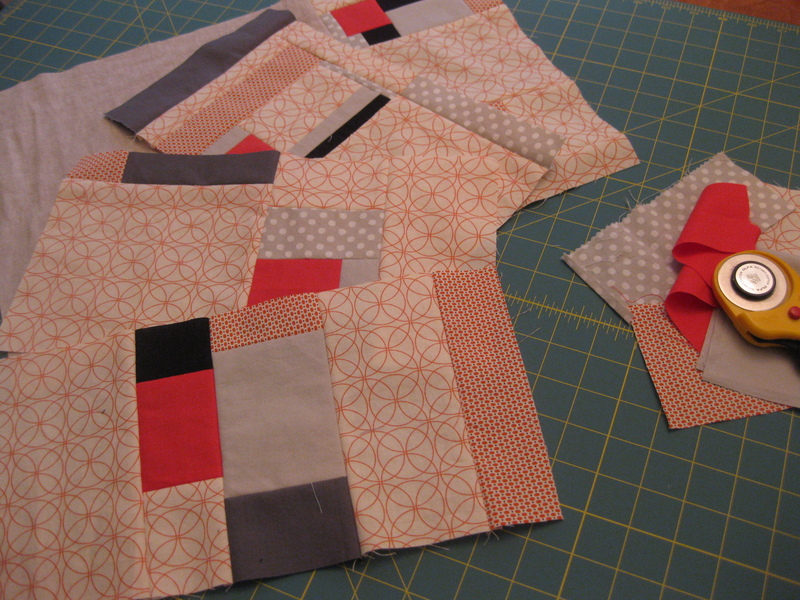 Because I usually work with large blocks of color, I am creating a mountain of scraps. I will confess that sometimes I throw away small bits because the thought of that scrap heap gets a little overwhelming, not to mention messy. But, of course, I feel a little guilty about it. Then I read this post from Dinning Room Empire, Naptime Quilter about collecting scraps to give away to other quilty friends–such a great solution. How nice to feel generous instead of guilty! 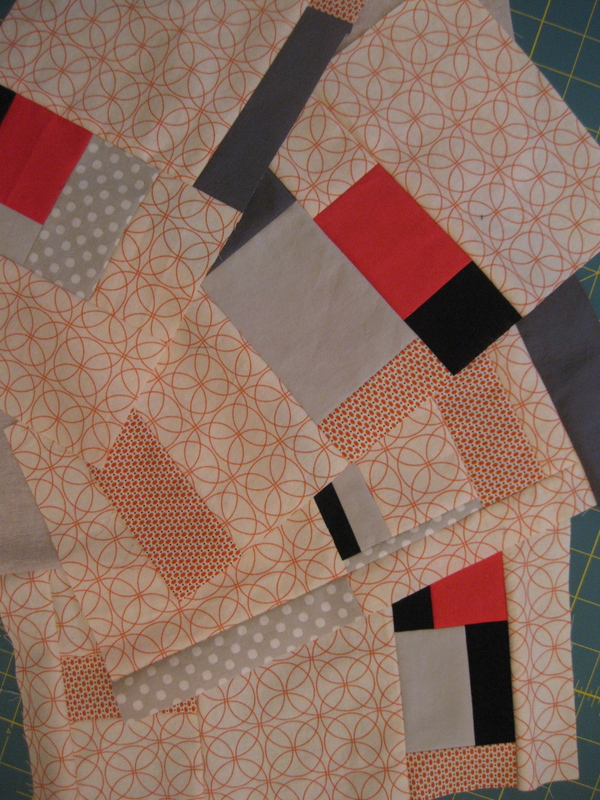 Still, one of these days I’m going to make a scrappy quilt. 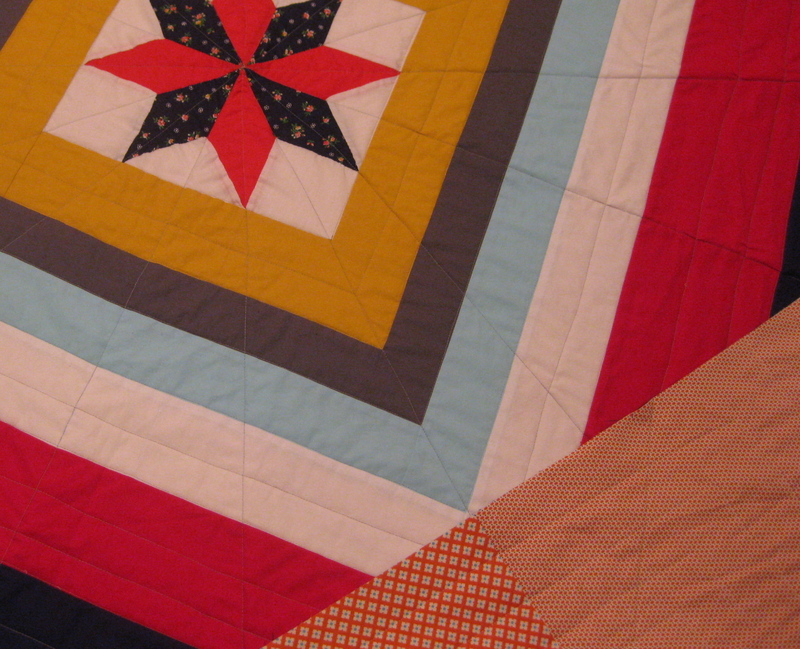 While I love the idea of having a signature style–the kind where you can look at a quilt and tell who made it–I don’t want it to prevent me from trying something new. 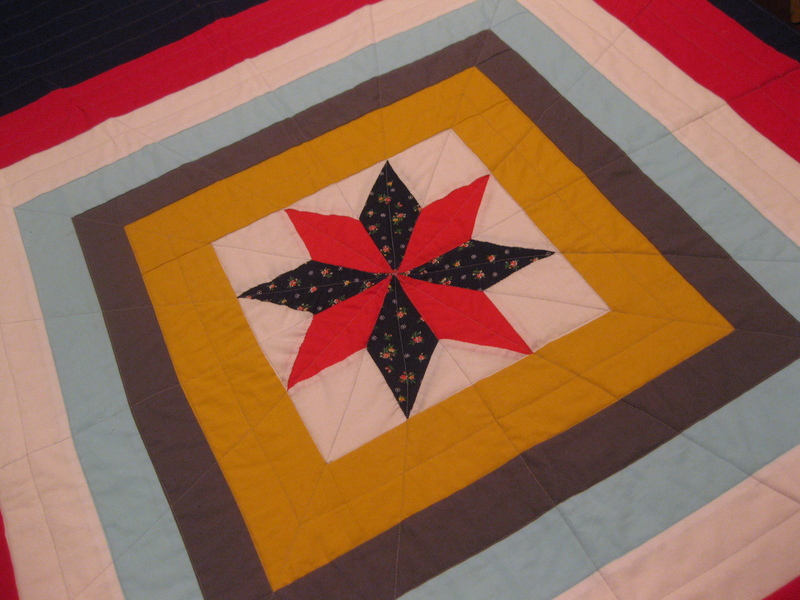 After all, half the fun of quilting is the endless variety. I am always inspired by Denyse Schmidt. She has one of the greatest signature styles out there–there is something about her fabric and color choices and compositions that makes her quilts instantly recognizable as hers even though they range from modern to more traditional. I’ve noticed that the quilters I most admire have a strong style but aren’t afraid to innovate. Katie Pedersen of Sew Katie Did is another great example: some of her quilts are made with tiny scraps and others with huge blocks of color, yet her signature style shines through in all her work. Just thinking about this makes me want to delve into my scrap heap! This entry was posted in Giving back, inspiration, quilts, small projects and tagged Denyse Schmidt, improvised piecing, katie pedersen, modern quilting, quilting, sew katie did on September 26, 2013 by brigitdermott. Sometimes I wonder about saving odds and ends–will I ever use the strips of batting left over from a quilt? As a former New Yorker I am vigilant about clutter, if I don’t wear something for a full year out it goes. But having a stash of odds and ends is great when you want to make something right away and without a lot of thinking. Some of the best meals are made from what you have on hand–and projects made from leftovers can have that same sort of creativity from necessity. These coasters were made entirely from things left over–Essex linen from a skirt and a hat, Liberty Tana Lawn from the same hat, and those strips of batting. They were also really easy to make–a very basic log cabin on the front, a 4.5 inch square of red Essex on the back, and a 4.5 inch square of batting stitched in between. I consulted Denyse Schmidt’s Quilts for the basic technique, and about an hour later I had some pretty coasters ready for ice cold summer drinks. 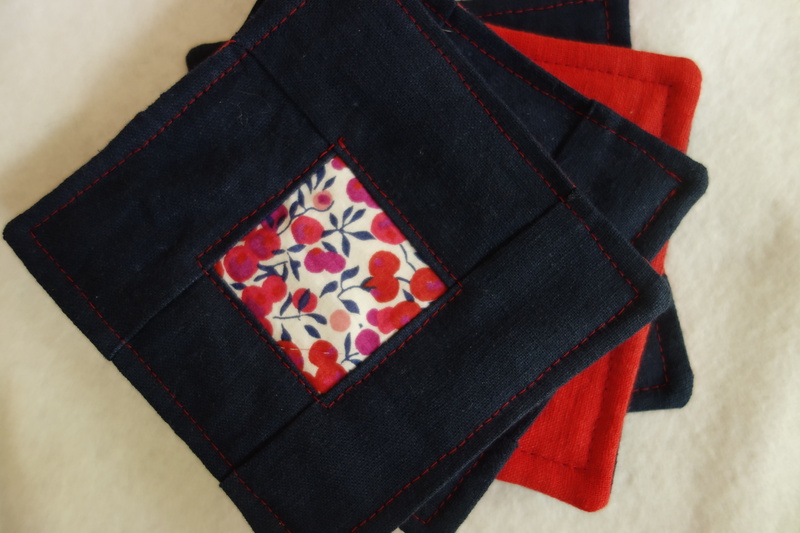 This entry was posted in other sewing, small projects and tagged coasters, Denyse Schmidt, Essex, Liberty of London on June 9, 2013 by brigitdermott.